DETROIT — General Motors is giving new-vehicle buyers the option to add two years to their factory warranty, an offer that has some franchised dealers feeling uneasy. The optional program, which begins Monday, Oct. 15, lengthens the factory's 3-year/36,000-mile bumper-to-bumper limited warranty on Chevrolet and GMC vehicles to 5 years/60,000 miles. For Buick and Cadillac models, the extension goes to 6 years/ 70,000 miles from 4 years/ 50,000 miles. Pricing will be left to dealers. GM suggests they charge $1,000 to $2,000 based on the type and price of a vehicle. The cost would be added to the vehicle price and could be rolled into the monthly payment. The program is the latest in a series of in-house tools and services GM offers to help dealers with operations and profits, and keep customers coming back to franchised GM dealerships. "It keeps the GM customer experience pure, inside the GM system," said Ken Mac, director of Chevrolet-Buick-GMC and Cadillac Protection. "We really believe the more pure you keep your GM experience, the better it is for you the consumer and the GM dealer." Several dealers told Automotive News they have mixed feelings about the program. They cited the risk of the factory offer impinging on their own warranty and service contract offerings, and suggested it would help the manufacturer more than their stores. "I don't think they like that dealers can make money on other extended warranties," said one Buick-GMC dealer who asked not be named for fear of retribution from the company. "It's a way to make more money for them." 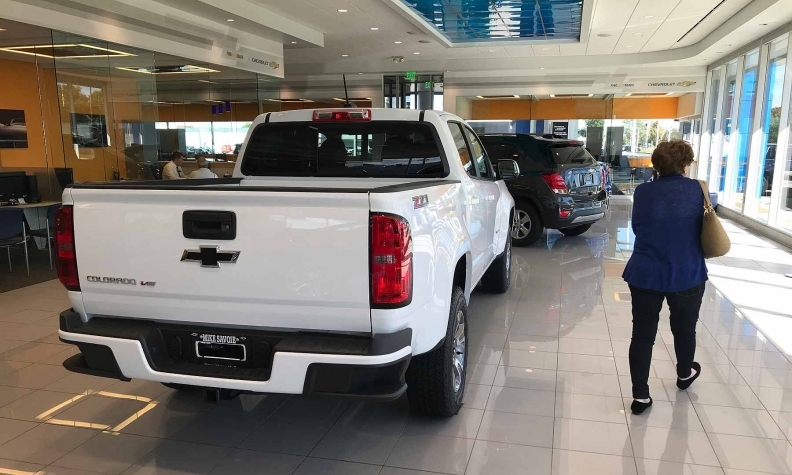 But Craig DeSerf, executive general manager of Gulf Coast Chevrolet-Buick-GMC in Angleton, Texas, applauded the program, saying it's getting more difficult to retain service customers as vehicle quality improves and competition with independent shops intensifies. "The warranty, I think, is the best thing General Motors has come up with in a long time," said DeSerf, a 30-year retail veteran who also heads the local Chevrolet marketing association. "I think this personally helps us as a dealer group sell more cars and retain more service customers." Dealers can choose to sell this extended limited warranty, the service contracts they already offer or both. Suggested price is $1,000 to $2,000 based on the type and price of the vehicle. Amount can be rolled into vehicle financing. 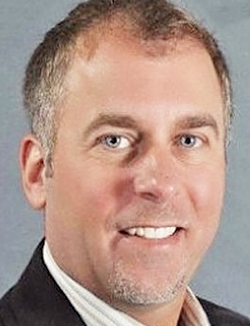 Mac said the program — designed more for vehicle purchases than leases — is intended to be separate from the vehicle service contracts dealers offer. It will be offered exclusively at the point of sale, he said, because GM didn't want to encroach on dealers' business. "As you get into things like aftersales and all that, it starts to look more like a vehicle service contract, which is the exact thing we are not trying to do here," he said. Dealers would decide when in the sale process to pitch the program. Mac said GM will "very fairly and generously" share revenue from the program with dealers, in addition to offering them other promotions and incentives to sell the warranties. He declined to provide a breakdown. "It's got to be fairly priced in terms of the base of the bargain for the consumer," he said. "The dealer needs to have a price and dealer cost that they can feel confident about and that they can share in equitable profits and revenues." The optional program would match the bumper-to-bumper protection with the four brands' current powertrain warranties, which were cut from 100,000 miles for Chevrolet and GMC in 2015. At the time, GM said the longer powertrain warranty wasn't a strong enough selling point. Cindy McColley, manager of the protection division, said the program is designed "to be very easy to sell," as it's integrated into GM's current systems and doesn't require additional paperwork. IHS Markit says new-car buyers keep vehicles for just more than 6.8 years on average, which means the warranty would typically cover vehicles for most of their time with their first owners. But the GM program attaches the warranty to the vehicle, not the owner, which GM said would help increase residual values and resale prices. It also differs from other third-party offers in that it's not cancelable, and its terms are the same as the original factory warranty's, with no claim forms or deductibles, McColley said. She said, "It's simple, it's pure, it's clean and it's what both dealers and customers have been looking for, for a long time."